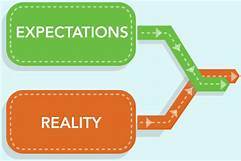 The higher the expectation the harder it hurts when not fulfilled in reality. So it is better to keep expectation to its lowest but it is necessary to have it. Expectation is giving the thought enough power to ruin your happiness by overlooking at it. We keep expecting, no matter how many times we are let down. It in a way gives us happiness in thinking things to turn out the way we want it to, the best way for that to happen is to speak to your partner clearly. Sometimes we expect things and associate happiness to them but the reality is things only gives us the feeling of happiness but not the genuine happiness. Everybody puts an effort the way they know how to. 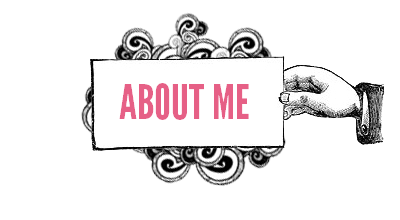 Here are a few things that you should definitely expect from your partner. As it is said respect has to be earned but you should always know that you deserve it from your partner. You should expect them to respect you. Just the way they deserve. This not only helps you maintain your position in your relationship. Some couples have huge age difference, but that should not be the reason of treating them with disregard and disrespect just because they are so much younger to you. Making fun of each other in private is cute stuff but doing so when you are in company will unintentionally humiliate the other person. Respect each other not just in your partner's presence but mainly in their absence. It is upto you how you want other people to treat your partner. An over possessive partner will ruin the relation by making you feel trapped. Trust is what we should get in a relationship so that we have our own space. You both should realise that you are two individuals in love, and individuality is only maintained when you both have that space to choose your friends, make your own choices, decide on your own. Trust is something that nurtures your relation. Be an open book to each other. You need to make them feel secure same goes the other way around. This feeling has to grow within you. Does not matter even if you stay together or miles apart if there is no trust in a relationship the expected outcome is heading towards two different directions. Just like someone said if they intend to cheat they will do so anyhow, even when you are next to them and when they are loyal, nothing can sweep them off the grounds because their roots are deep into you. 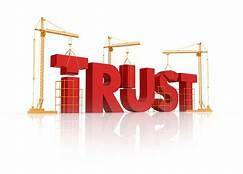 Experiences with bad past can sometimes hamper the present relation therefore before trusting others trust yourself that you will do justice to the relationship. We live in a high tech world, where a press of a button is enough to do so many things. Some relation really need the help the technology is providing, because they are staying miles apart. 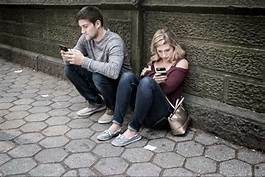 The most convenient way for them to keep their relationship alive but some people really need to stop using their gadgets all the time and share some quality time with their loved ones. When you are giving someone your time; be fair and give them all of it without distraction. People always make time for the ones they care, even if it is just enough to say hi but they do. So if someone has an excuse of being busy all the time you can clearly see what the sign board holds. "Not Interested". Make sure to meet up every once in a while. Yes, we all have those crazy ideas of what we want to do with our lives. There are also some really important ideas, the ideas that we think defines us for example working as a school teacher rather than a professor because this is what makes you happy. This may not be a good idea at many levels but you know that will make you happy. You will not only be happy but more enthusiastic when you have a supporting partner. There will be many phases when you need a supporting hand, you may be broke financially as well as emotionally a loyal partner will stick to you through your thick and thin. Sometimes it is your partner that needs support, one should do that without being judgemental. A thousand "I LOVE YOU" will not suffice if he/she doesn't make you feel loved. He/she may not say they love you but they make you feel loved is more important in a relationship. Action speaks louder than words. We really need to look at how they make us feel rather than what they say they do. When you love somebody you should realise that you do not own them. So you should act like wise. Some people are adventure seekers the moment they have you the adventure is gone and will start looking for another adventure. You should not be afraid of moving out of such relation as soon as possible no matter how must they tell you they love you. You may not think but people always notice the sweet little gestures that you are making for them. Thank you please keep reading.